The Department waited until the end of Freshers Week to announce the third level access scheme for student asylum seekers. The Department of Education has said that it will continue to offer a scheme to provide third level financial supports to eligible asylum seekers, with applications being accepted from today. The terms of the scheme are the same as in previous years. It is for students in the protection process (except for those at deportation stage) who have applied for protection or leave to remain five years ago or more, and who have been in the school system for five years or more. This is the latest the scheme has ever been announced. It comes at the end of Orientation or Welcome week for First Years in a number of colleges and universities around the country. The third round of CAO offers were also made this morning. When the scheme was first introduced in 2015, 39 students applied and two were deemed eligible to apply. In 2016, 15 students applied and two qualified - while last year five students applied and only one was deemed eligible. The Department recently carried out a review of the scheme. Minister for Education Richard Bruton said the scheme provides a valuable opportunity for eligible students to develop their skill sets and participate more fully in society. Responding to the announcement, Caroline Reid of the Irish Refugee Council said that while it welcomed the continuation of the Support Scheme, it was "disappointing that the scheme had been announced so late". "The CAO process is near completion and, given the narrow criteria that apply, few young people will be able to avail of the grant. 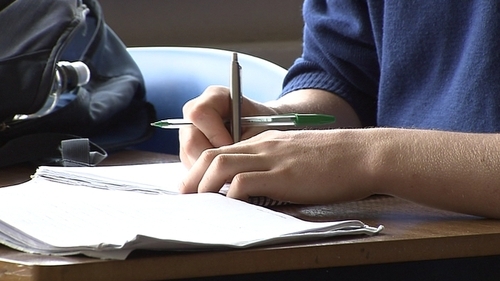 "The Irish Refugee Council is calling on the Government to reduce the eligibility requirements from five years to three and the time spent in the school system to two years, reflecting the leaving certificate cycle. "This will widen the pool of eligible applicants and bring the support scheme in line with the SUSI residency requirement of three years. "It will mean that more people who have worked hard and received their Leaving Certificate here will have a chance to move forward in their education alongside their classmates." Jan O'Sullivan, the former Minister for Education who first introduced the pilot Scheme said: "It is very disappointing that the review has not resulted in a broadening of the scheme to allow more young people in the asylum process to move on to third level." "There was no good reason to announce it so late, after two rounds of CAO offers, if it is exactly the same as last year" she said. She added: "The cost of extending the scheme is minuscule in the overall grants scheme and I would urge the Minister to look at it again before the next academic year with a view to making it available to a greater number of students taking Leaving Cert in our schools." Lucky Khambule, of the Movement of Asylum Seekers in Ireland (MASI), described it as "unfortunate and totally unacceptable that in a period of three years, only five students from the international protection applicants qualified for the government pilot project." He added: "These numbers are not even worth a mention when compared with the number of people who need to further their education. "We currently have a huge number of children who are left with no hope of what their future will be as their parents cannot be able to afford non-EU fees to enrol them to colleges." "We call upon the Department of Education to relook at its position in relation to this scheme and to create a programme that would allow more people to qualify and be granted proper access to third level education," he said.